Abortions are very common. In fact, more than 1 out of 3 women in the U.S. have an abortion by the time they are 45 years old. If you are trying to decide if abortion is the right choice for you, you probably have many things to think about. Learning the facts about abortion may help you in making your decision. If you are under 18, your state may require one or both of your parents to give permission for your abortion or be told of your decision prior to the abortion. However, in most states you can ask a judge to excuse you from these requirements. J.C. Willke has divided the methods of abortion into three main categories: those that invade the uterus and kill the child by instruments which enter the uterus through the cervix; those that kill the preborn child by administration of drugs and then induce labor and the delivery of a dead baby; and, those that invade the uterus by abdominal surgery. Dilation of the uterus is required in cervical methods of abortion. The usual method of dilation is to insert a series of instruments of increasing size into the cervix. A set of dilators, metallic curved instruments, are used to open the cervix sufficiently to accommodate the instruments of abortion. In contrast with a normal birth, where the dilation occurs slowly over a period of many hours, the forceful stretching by the abortionist to open the cervix takes a matter of seconds. This premature and unnatural stretching of the cervix can result in permanent physical injury to the mother. Laminaria (dehydrated material, usually seaweed) is sometimes used to reduce damage to the cervix. Inserted into the cervix the day before the scheduled abortion, it absorbs water and swells, gradually pushing open the cervix in the process. 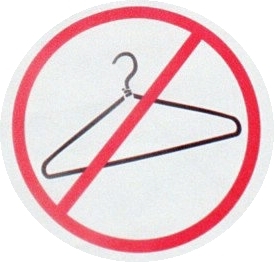 It may seem like abortion will wipe away this situation and you can just move on. It’s not that simple. Abortion is not just a simple medical procedure. For many women, it is a life changing event with significant physical, emotional, and spiritual consequences. Most women who struggle with past abortions say that they wish they had been told all of the facts about abortion and its risks. This surgical abortion is done throughout the first trimester. Depending upon the provider and the cost, varying degrees of pain control are offered ranging from local anesthetic to full general anesthesia. For very early pregnancies (4-7 weeks LMP), local anesthesia is usually given. Then a long, thin tube is inserted into the uterus. A large syringe is attached to the tube and the embryo is suctioned out. So the truth is abortions are very risky and they do cause brain trauma and guilt for killing a unborn child. Your choice.